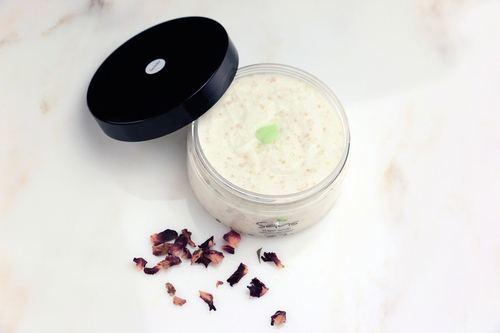 In the bath or shower is when the skin is softened, the pores are open and most ready to easily absorb. Containing pure cane sugar, this rich scrub will gently exfoliate the skin and leave behind it�s wonderful moisturizing benefits. We use sugar because sugar contains glycolic acid, an alpha-hydroxy acid that is crucial for maintaining healthy skin. The natural glycolic acid in sugar not only helps condition and moisturize skin, but protects it from toxins as well. Scrub until the sugar melts. It will feel oily at first, but don�t worry, and please resist the urge to wash it off. Simply rinse off, pat dry, and your skin will feel amazing. You won't even need a moisturizer after your shower! Available in 5 natural scents: Lavender, Lemongrass, Sweet Orange, Peppermint and unscented. Use when skin is warm and wet. Rub gently into skin with either your hand or a washcloth to exfoliate and moisturize. Scrub until the sugar melts then continue massaging the nourishing oils into the skin. As you massage it will feel oily but please resist the urge to wash it off. After massaging for a few minutes rinse with warm water. Dry skin as usual. 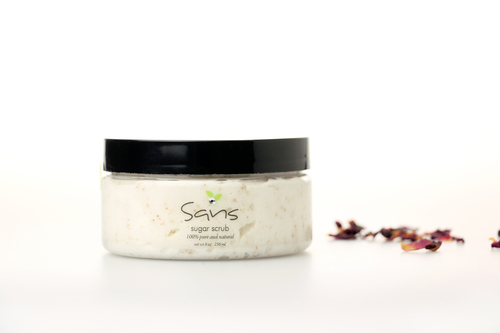 Skin will be so silky and moisturized you won't need a moisturizer after your shower! Ingredients: Shea Butter, Coconut Oil, Hemp Seed Butter, Pure Cane Sugar, Pure Raw Sugar, Rice Bran Oil, Vitamin E Tocopherols, Vegetable-Derived Emulsifying Wax, Carrot Seed Oil, and Fruit and Flower Essential Oils for scent.